Korlai is a quaint village which was one of the major Portugese hubs back in the day. 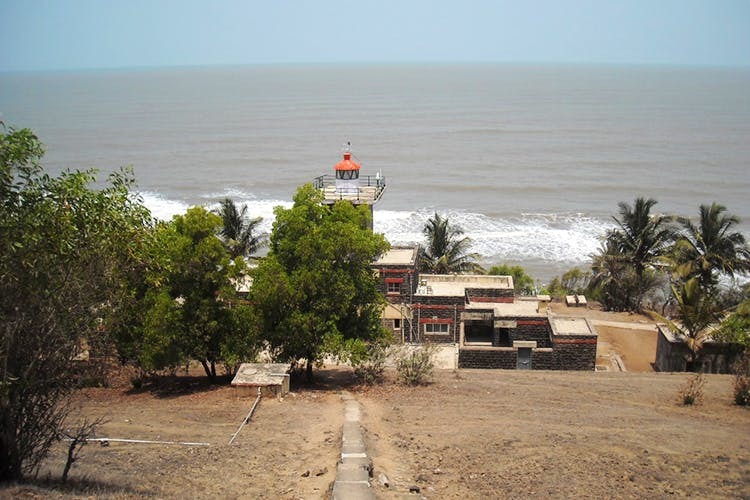 About an hour away from Alibaug, the beach has a lighthouse and fort that can be visited. Once called ‘Morro de Chaul’. Morro, in Portuguese, meaning‘a small, rounded hill’.The residents speak a dialect of the Portuguese Creole called ‘kristi’. The word Creole eventually transformed to Korla, over the years. About an hour away from Alibaug, Korlai fort is located about 15 kms from Alibaug bus depot. If you take the road, it’s about 115 kms away from Mumbai. A ferry ride will get you there in about 1 and a half hours or so. The most efficient way to reach Korlai is through a ferry ride. The Bhaucha Dhakka or ferry wharf in Mazgaon has ferry services plying from 6.30 am to 5.30 pm. The route to Revas takes you to the islands of Khanderi and Underi and eventually to, Korlai Fort. You can even take you bike on the ferry by paying an addition charge of INR 150. Don't leave home without beach essentials, good sports/trekking shoes and snacks. Maybe even some card games to keep yourself busy.